In part one of my post, I outlined my adventure of ordering glasses online from Zenni. This post provides a review of my Zenni purchase and will give optical dispensing tips to independent ODs on how they can compete. My Zenni glasses arrived a couple of weeks after I placed my order, and they shipped from Novato, CA. My new Zenni’s (model 112416 matte blue frame and blue mirrored lenses) arrived with a zip-around case, cleaning cloth, a PD stick, and a card with the customer service info on it. The PD stick and the cleaning cloth both advertise their $6.95 Rx glasses. Let me start by saying, I like them. I chose the least expensive lens offering and splurged a few bucks on blue mirror tint. They are obviously not great quality, but I wanted sunglasses for the pool, and given they’ll likely have a shorter-than-normal lifespan, I thought the value for the price was very good. I’ve already dropped them once, lens down on the asphalt, and they didn’t scratch. Maybe they will last longer than I thought. Given the complexity of placing the order, and the myriad of options available, I’m surprised they fit and I like them as much as I do. I spent Sunday driving around town with them on without issue. They were roughly 25% of the cost of the pair I bought from my OD in 2015. I had originally intended to order progressives but got lost in all the options and decided for the safer SV for general outdoors. I might be more brave next time. There is a certain type of consumer (me) that will love the ability to order inexpensive glasses on a whim if they can figure out how to do it correctly. While Warby Parker leans toward the more urban shoppers and completely minimizes the science behind prescription eyewear, Zenni is going for a wider range of consumer needs at a low price, but you have to handle the details yourself. They do have a 30-day return policy if you get it wrong. Like Warby Parker, Zenni’s marketing is geared toward the younger demographic, but looking at the frame selection, there is something for everyone if you can navigate the ordering process. You need some patience to be able to successfully place an order, particularly if you want upgraded lenses, progressives, or fancy coatings. One problematic thing about Zenni is that you type in your own Rx, so it could be expired and you could still order glasses. This is worrisome for so many reasons, but a good opportunity for you to make sure your patient education and recall program is on point so your patients understand the importance of an expert handling their prescription. So, what’s the appeal then? Convenience? Price? Selection? As an independent OD, you can provide all these things to your patients if you maintain a line of lower-cost eyewear. 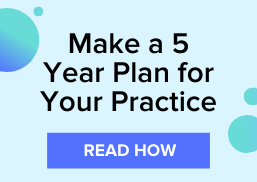 The question is whether you want this business, the low margins, and the potential support issues that come along with it could be problematic for your practice and may result in negative reviews. How does your practice educate patients on the difference between the frames in your practice and frames offered through online retailers? Let us know in the comments.